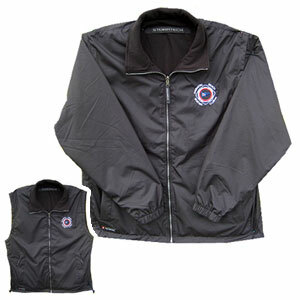 Convertible jacket with zip off sleeves and pockets at front. Black polo shirt with club logo embroidered on chest. White polo shirt with club logo on chest. 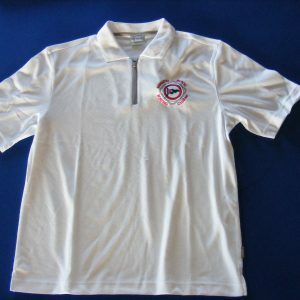 White polo shirt with club logo embroidered on chest. White polo shirt with club logo embroidered across chest. Please note the grey trim across the shoulder area has been removed on this size. 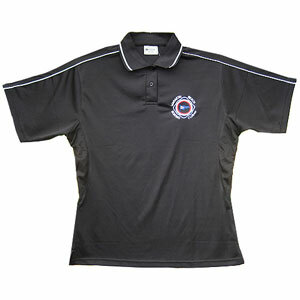 Black polo shirt with club logo embroidered across chest.